to bring major improvements to the security framework. manages both trust and access policies. document when access to an API is requested the "content engine"
the application registry where it can be retrieved by the widget engine. environment attributes may be used. need to differentiate between Trust and Access Policies. to add a third layer - Trust Domain Access Control Layer. and access requests. The elements of both dataflows are very similar. included in the trust domain policies. concept may not make so much sense in this proposal. is now only makes sense in the case of trust policies. string with the name of the assigned trust domain. 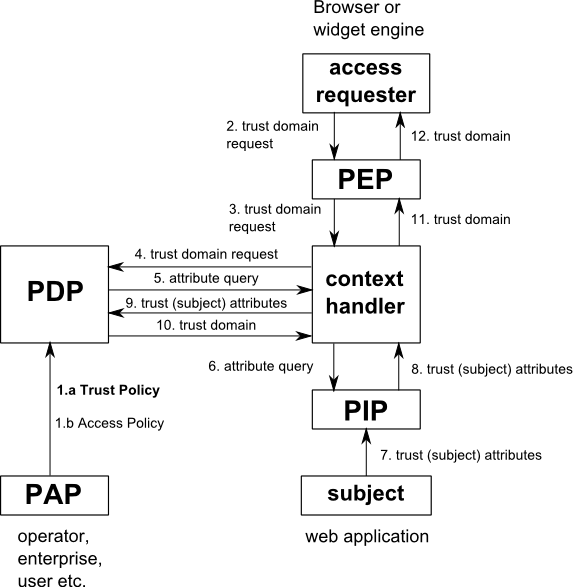 differentiate trust domain and access queries. 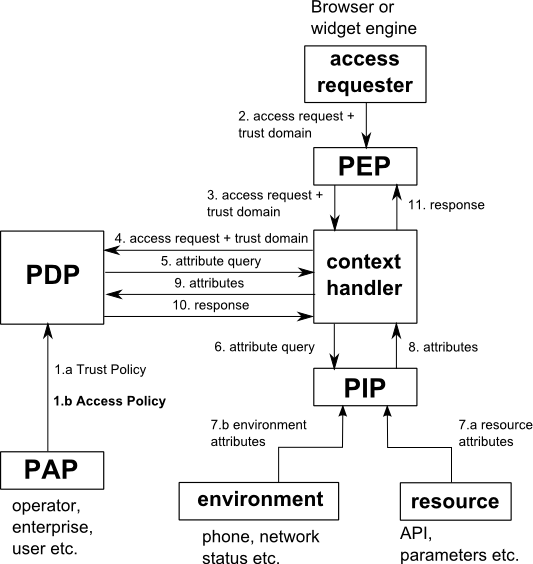 to write a policy following a trust model approach. already agreed during last week's call. Next message: Arribas, Laura, VF-Group: "RE: [Policy] [ACTION-152] Editor Updates to Policy Requirements and Policy Framework"
Previous message: John Morris: "Re: Agenda - Distributed Meeting 2010-05-05 (corrected email subject)"
Reply: steve.lewontin@nokia.com: "RE: [Policy] ACTION-152: Merging NOKIA's input into the policy framework doc"